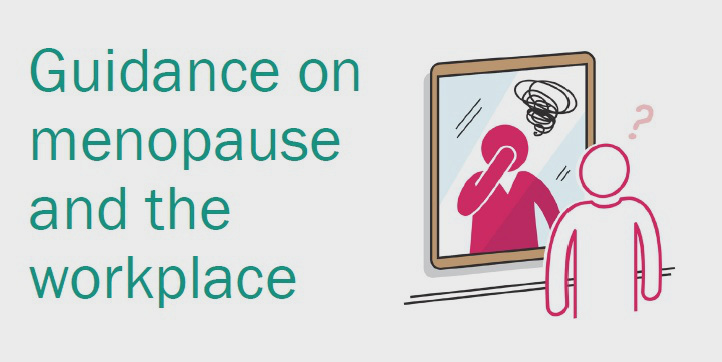 The Faculty of Occupational Medicine has produced guidance on menopause and the workplace, and an accompanying infographic offering advice, tips and stats. 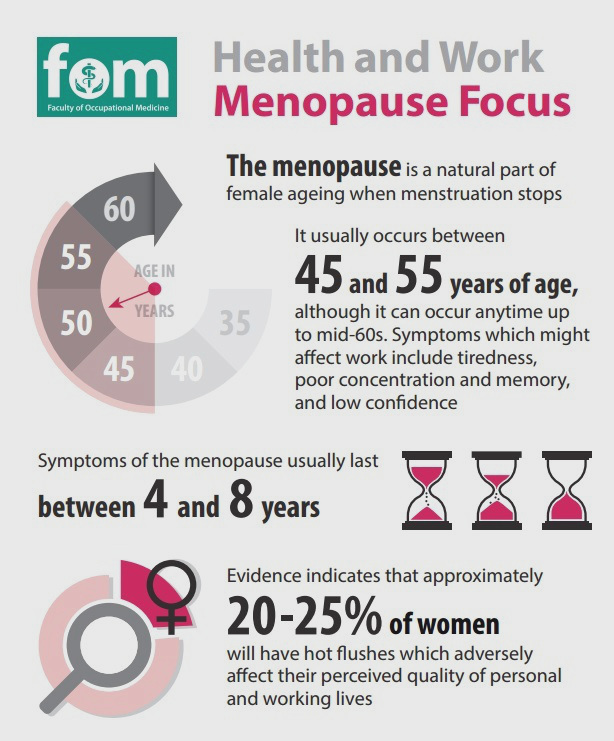 The Faculty of Occupational Medicine (FOM) is pleased to launch guidance on menopause in the workplace. This guidance is aimed at women going through menopause and experiencing the impact it has on their working lives. It also offers employers practical guidance on how to improve workplace environments for menopausal women. The guidance will also be featured in a documentary for ITV’s Tonight programme featuring contribution from Dr Richard Heron, FOM President. In ‘The Truth about the Menopause’ (7.30pm ITV 24/11/16), Julie Etchingham examines whether our workplaces are doing enough to support women, and what a difference the right kind of support can make for menopausal women.